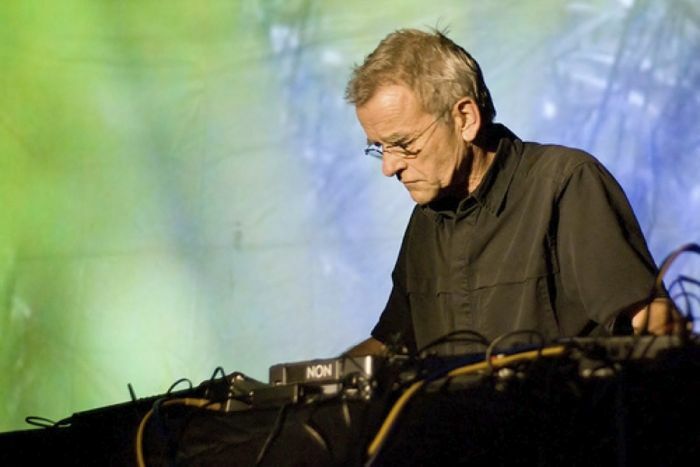 Dieter Moebius, Krautrock forerunner with Harmonia and Cluster has died, Getintothis’ Harry Sumnall leads a pays tribute while drawing on his inspirational music which would shape generations. The music of Dieter Moebius, who has died suddenly at the age of 71, spanned six ever changing decades. As one of Germany’s most important avant garde musicians, his prolific and varied experimentations led to some of the key works of modern music. His music and collaborations were impossible to predict; each release exploring new approaches; rhythmic ambience, industrial, proto electronica, techno, weird rural folk, or just plain stupid pop. Throughout all his work, Moebius retained a tight aesthetic which ensured that the music, its conceptualisation and presentation were integrated with the experience it was designed to recreate – just take a look at the covers of Musik von Harmonia and Cluster II. His early years in Germany as a straight jazz musician were overturned by exposure to rock and roll and the Velvet Underground, and his later activism in the European art scene. The formation of the improvisational Kluster in 1969 with Conrad Schnitzler and Hans-Joachim Roedelius at the Zodiak Free Arts Lab in West Berlin led to a rejection of ‘bourgeois’ song structures and the beginnings of the approach to music making that made Moebius so important. Although the chaos of Kluster was partly retained for two further albums after Schnitzlers departure in 1971, the newly-named Cluster began to develop in ways that would have been impossible to predict just a couple of years earlier. Cluster would go on to record 11 albums, the last being Qua in 2009, and included collaborations with Brian Eno in 1977 and 1978. Across albums such as Zuckerzeit (1974), Sowiesoso (1976) and Grosses Wasser (1979) the basic formula of echo laden, vibrating rhythms, and pulsing synths was developed, resulting in music that is clearly of its time, but which is easily identifiable in any contemporary band that claims a ‘krautrock’ influence. Whereas Zuckerzeit seemed urgent and insistent, reflecting a lack of studio resource, Sowieso was recorded in the tranquility of a country house where Moebius was to spent most of the rest of his life. Its an album that evokes the flow of the river and changing seasons, and perhaps also the maturity and widening perspectives of the musicians. Grosses Wasser was Cluster’s last great album, by which time the rest of the music world had just about caught up with what they were doing, and so Moebius and Roedelius sought new challenges. Cluster’s earlier collaboration with NEU’s Michael Rother as Harmonia had produced some of Moebius’ finest ever music, and is the band that I immediately turned to after learning of his death. Although this band recorded the classic Musik von Harmonia album before this writer was born, it unequivocally our favourite album, our Revolver, Forever Changes, and Smile all rolled into one. If you want to know Getintothis‘ Velvet’s Exploding Plastic Inevitable equivalent, that gig that everyone wishes they had attended, then its this one, Harmonia playing in an old railway station on a crisp March evening in front of 10 disinterested people in South West Germany. Brian Eno wasn’t wrong when he described Harmonia as the ‘world’s most important rock group’. While Moebius would sometimes reunite with both Rother and Roedelius, including well received sets at All Tomorrow’s Parties festivals in the 2000s, he thrived in diverse partnerships, and the majority of his output from the 1980s was in collaboration with a succession of equally important musicians; Conny Plank, Mayo Thompson, Mani Neumeier, Asmus Tietchens, each producing outputs that rate as highly as anything he produced in his prime, and his most recent work released on Bureau B records was vibrant and joyful. Moebius was hugely respected and tributes have been paid across social and national media from both fellow musicians and fans alike. Below Getintothis presents just a small selection of highlights from Moebius’ career; each track representing a different phase of his music, and tracks that mean a great deal to us. It’s true to say that we wouldn’t be making our own music, or it would certainly sound very different, if it wasn’t for his influence. 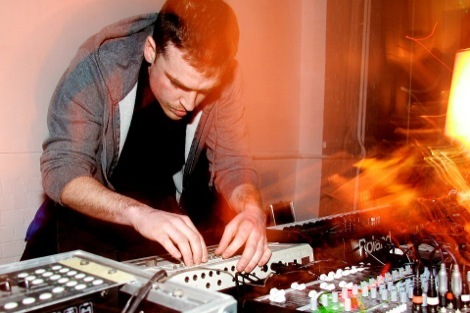 Although his best work was produced in collaboration with others, his contribution is distinct and instantly recognisable, whether through scratchy rhythms, a sweet melody, or an overpowering ambience that invites you away. This of course only presents a tiny proportion of all he has created and focuses on an introduction to his earliest pieces, and while this tribute is tinged in sadness, it has been a real joy to revisit and re-present some of his music here. Kluster – Kluster II (from Klopfzeichen 1969). Seemingly composed in microseconds whilst the musicians were trapped in industrial refrigeration units; drums, primitive electronics, cheap lounge organ, and an echo unit. This is where everything is unlearned and begun again. Cluster – Georgel (from Cluster II [the Star ‘Album’], 1972). With Schnitzler’s departure, a new softer Cluster sound emerges, but nothing about this music can be considered tranquil. It creates huge uneasiness, like in the moments before collapse after taking ibogaine for three straight days. Harmonia – Dino (from Musik von Harmonia, 1974). 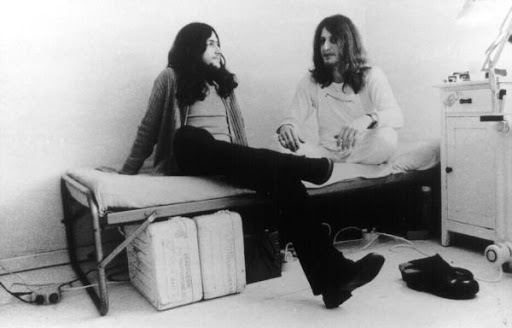 Alongside NEU!s Hallogallo, CAN’s Vitamin C, part of the Holy Trinity of kosmische 70s music. An incessant beatbox rhythm, unpredictable bass flickering in and out of consciousness – all propelled by Michael Rother’s guitar. This song has no beginning and no end, and we should be glad of this. Cluster – Caramba (from Zuckerzeit, 1974). After Rother’s temporary return to NEU! Cluster reconvened in their rural retreat to record the astounding Zuckerzeit. Although in retrospect its possible to identify similar experiments taking place contemporaneously in Europe and North America, Moebius and Roedelius must have in their isolation thought that they were playing music beamed in directly from an ancient hermetic order. This is a real pop record. Cluster – Umleitung (from Sowiesoso, 1976). Recorded shortly after the final Harmonia album Deluxe, Sowiesoso presented the next step in the evolution of that band rather than a direct follow up to Zuckerzeit. Less frantic, tranquil even, there is still an attention to the shaping of sounds, but this is a meditation on the rural idyll, but one that is rudely interrupted by foolish rowdies, showing a playfulness that underpins much of their music. Cluster – Grosses Wasser (from Grosses Wasser, 1979). Although the few Cluster albums that were to follow contained their own highlights, Grosses Wasser was their last truly great work. Both members had already begun to work with other musicians and producers which would (temporarily) take them in new directions. The title track of Grosses Wasser starts from nothing to build into a elastic tribal stomp that collapses under its own weight to expose the chirruping of crickets and an enigmatic piano phrase that is dissected by an icy synth; a sleepy guitar draws things finally to a close. Moebius-Plank Nordostilches Gefuhl (from Material, 1981). By the 1980s Moebius was flirting with Neue Deutsche Welle, disco (but nothing you could actually dance to), and perhaps more conventional song structures. This was to set the tone of the years ahead, but this track from the second of his collaborations with producer Conny Plank suggests something closer to a development of the Cluster sound than anything else he was doing at the time. Just a simple beat, sparse bass, a few pads and modulated synth lines is enough to carry the listener away. Mark Jenkins RIP: a tribute to a true originator – ‘a pioneer, a rule-breaker and a huge talent’ Krautrock: finding beauty in the brutalism – a response to David Stubbs’ Future Days Krautrock night John Doran reading Jolly Lad, Barberos, Krautrock Karaoke: The Kazimier, Liverpool Can’s Jaki Liebezeit – remembering the architect of krautrock John Heckle: The Liverpool electronic pioneer that’s lost in space DJ Rashad: 1979 – 2014 – a modern day dance pioneer Casablanca and Max Steiner: A pioneer in sampling?